At Boulder’s Natural Animal Hospital, we believe in providing comprehensive medical care for your pet in a warm, compassionate environment. From annual wellness exams and vaccinations to surgical and diagnostic care, your pet will receive the very best medical care from our doctors and staff. Visit the links below to learn more about the veterinary services offered at our animal hospital. "I have been with dr takahashi for years and followed her to this practice because she is so wonderful. This is the best most caring practice I have ever experienced. They treat every pet as if it were their own." "Very caring place... Our 13yr old cat had tooth extraction & cleaning. Dr. Liv Brockmann explained procedure very well & followed up after surgery, along with a follow up the next day from vet-tech. Office is in Boulder, we live in Brighton... Always worth the drive for our pets"
"My young lab had a grown on his side, which Dr. Takahashi biopsied. It turned out to be a cancerous tumor. I am so thankful for Dr. Takahashi’s going the extra mile to not only diagnose the cancer. But for a successful surgery. I appreciate her professional, compassionate care for my little dog." 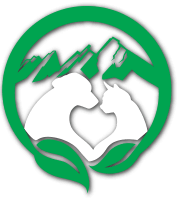 "I love Dr. Brockman and all the Docs at Boulder's Natural Animal. The care is unbelievable - following up after an appointments, returning phone calls, loving my animals as much as I do. Taking the time to explain what's going on with my animals. Thank you Dr. Brockman and Team - we love you. Alison, Cheli, Finnie & The Tig"